Nick teaching a Functional Integration lesson to a Feldenkrais student. We call clients students, not patients, because the Feldenkrais Method is based on learning. Students are full participants in their improvement, and sessions are called lessons rather than treatments. Fall 2018 update: My FI studio is currently full. Click here to read about other options for studying Feldenkrais. For most people, there is no better way to address pain reduction and self-improvement goals than the neuromuscular reorganization possible through Functional Integration lessons (hands-on, one-to-one Feldenkrais). Whether commencing a series of lessons, or just getting to know the Feldenkrais Method on a one-to-one basis before joining the weekly classes, FI lessons are an excellent way to begin studying the method. Feldenkrais is a system of movement education with applications similar to physical therapy, but more holistic. When someone wants to reduce pain, recover from an injury, or improve an aspect of themselves (anything related to movement, balance, posture, athletics, or artistic performance), a Feldenkrais lesson addresses the whole person–not just the symptom–by eliciting changes in the nervous system. Scientists call this process “neuroplasticity,” the brain’s extraordinary ability to acquire more efficient patterns of movement and action if given the right environment. Nothing creates that environment like the Feldenkrais Method. 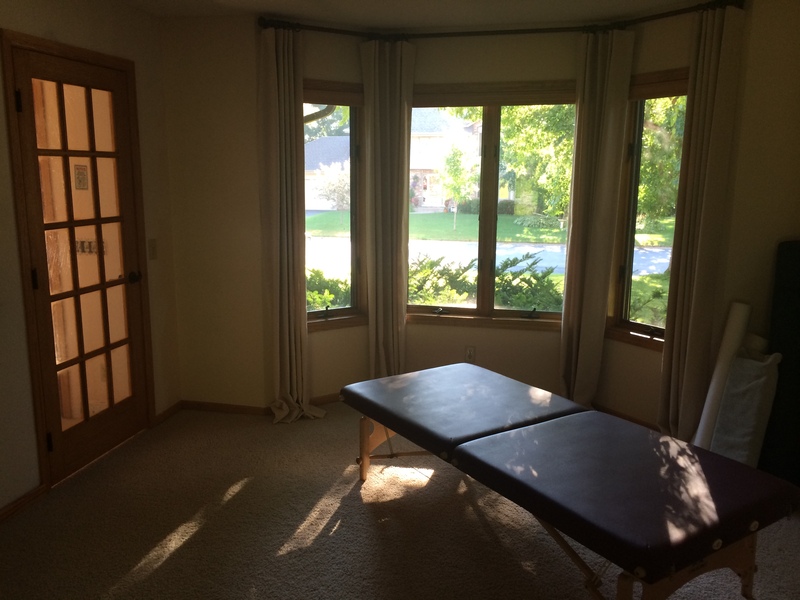 A look inside TCF’s Functional Integration studio. Functional Integration lessons are pleasant and effortless, done fully clothed, lying on a low, comfortable table, using a gentle, non-invasive touch. Students describe their sensations during lessons as pleasurable, relaxing, and fascinating. Most experience immediate reduction in pain, and over time they discover lasting, specific improvements in the movements of their day-to-day lives. It’s a very personalized process, and sometimes difficult to describe. Below are a few words from some of my FI students. Why FI sessions? Taking time to listen to my body regularly is good all by itself – but the real benefits go on and on. More flexibility. More energy. Fewer headaches (and neckaches, and shoulder aches, and more). The easiest fall allergy (and asthma) season I’ve had in 15 years. More than anything, more awareness of how I spend my attention and focus, so I can do more of what I want, and do it in ways that best reach toward my dreams and my goals. Why Nick? A wonderful balance of conversation and silence, a willingness to explore, but also to suggest. An external perspective who not only notices what he sees – but also what he hears and feels, and what that says about the body and response. I look forward to my sessions, no matter what else happens in the week, as a chance to stop and breathe and focus on just one thing: listening to what’s good for my body. Take a look at the Testimonials page for more information. 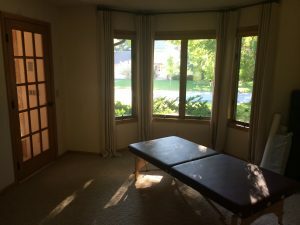 I teach one-to-one Functional Integration lessons by appointment in my studio at our home in Eagan, Minnesota (south of St. Paul, convenient to I-35E and I-494). While most FI lessons are about an hour, I meet with new students for 90 minutes. This gives us ample time for an informal interview to orient us to your needs and goals, a one-hour FI lesson, a consultation about what you can expect from Feldenkrais, and discussion of possible courses of study. My regular Functional Integration availability is Monday-Friday, with lessons available mostly in the middle of the da. To schedule lessons or learn more, contact me. The cost for the first visit (90 minutes) is $140. For continued individual study after your first lesson, I use a set-your-own-fee sliding scale, from $80-$120 per hour-long lesson. I recognize that my students’ wellness goals and financial circumstances vary. To ensure that you are able to come for FI lessons often enough and long enough to achieve lasting improvement, I use a sliding scale. After their introductory session, all continuing students are asked to set their own fee, between $80 and $120 per lesson. At the request of some students who asked for guidance in choosing their fee I have created a sliding scale fee explanation and recommendations letter which I share with all my new one-to-one students. It answers most of the common questions about this unusual and liberal fee structure, and I hope you’ll read it. Please contact me if you have further questions. Note: if you have a Health Savings Account (HSA) you may be able to pay for Feldenkrais Functional Integration lessons with it. While the Feldenkrais Method is an educational modality (not healthcare), the medical community often puts Feldenkrais under the billing heading of “neuromuscular reeducation.” Check with your HSA bank or insurance company. Receipts are available upon request on a monthly, quarterly, or yearly basis. If you can commit study time toward your self-improvement goals but cannot afford or schedule frequent one-to-one FI lessons, you will find great value in my ongoing public Awareness Through Movement (ATM) Feldenkrais classes and/or my extensive collection of free online ATM recordings. Many students use a combination of FI lessons and ATM classes/recordings to maximize their learning in an affordable way. Another low-cost option my students find beneficial is guided self-study. Through our one-to-one FI work (even if it’s infrequent) I can recommend “homework” ATM lessons in audio or printed form, specifically chosen for your needs. Many are free, available right here on my website. Other lessons are available for purchase from other Feldenkrais Practitioners. Check out the Recommended Products page for examples. I also frequently lend students self-study resources from my own library. Contact me to schedule FI lessons, or if you’re looking for directions, info about your first visit, or the FI student intake form, click here to visit my studio orientation info page.